News & Awards — LandCreativeInc. 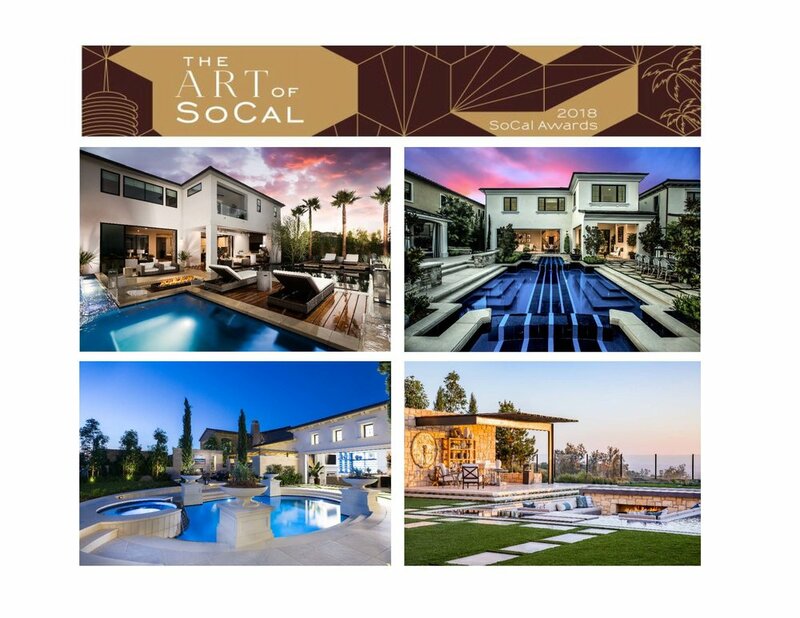 We’re excited to be nominated for Best Landscape Design and Best Outdoor Living Space for our designs at Cascades at Westcliffe and Estrella at Altamira, by Toll Brothers. Another great time at the SoCal Awards! LCI brings home the gold for Best Model Complex Landscape Design for Estrella at Altair, and Best Outdoor Living Space for Cascades at Westcliffe - Cressida. 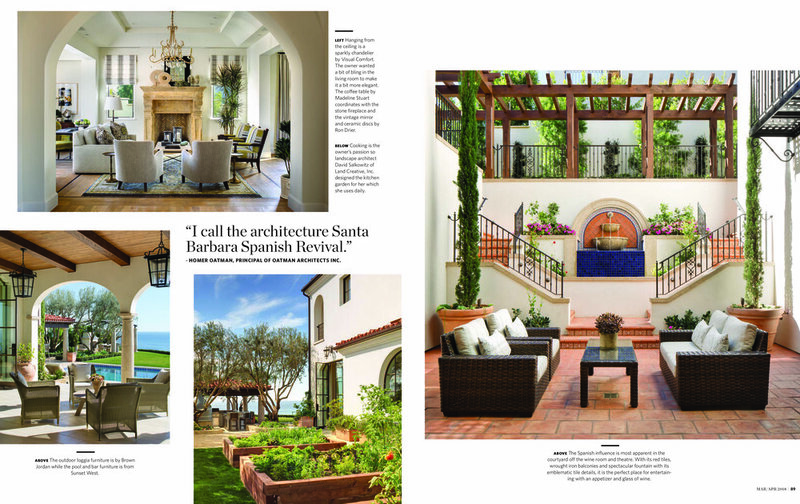 David Salkowitz takes part in the DEDON Panel Discussion on "Creative Synergy"
We’re thrilled to be recognized again, with Cascades, Estrella and Alta Vista selected as finalists for “Best Outdoor Living Space” at this year’s SoCal Awards! 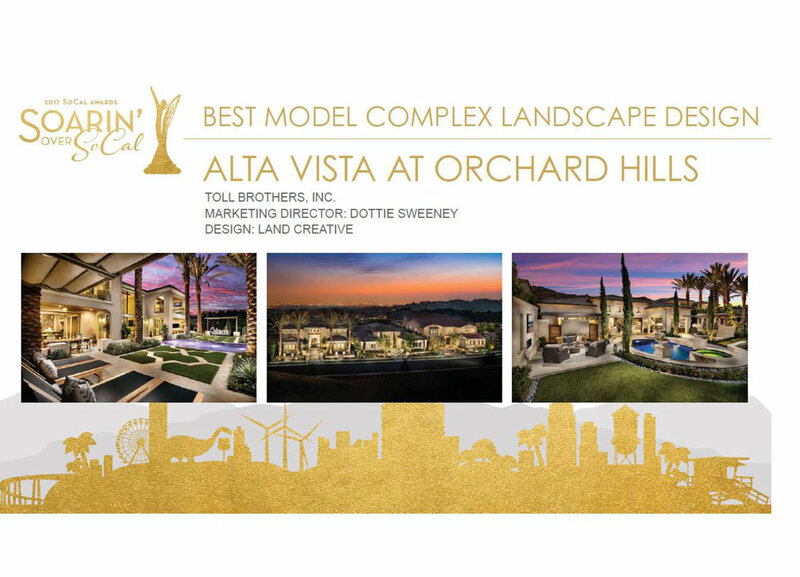 We’re excited to have Cascades, Estrella and Alta Vista Models selected as finalists for “Best Model Complex Landscape Design” at this year’s SoCal Awards. We love it when our consultants showcase our work. 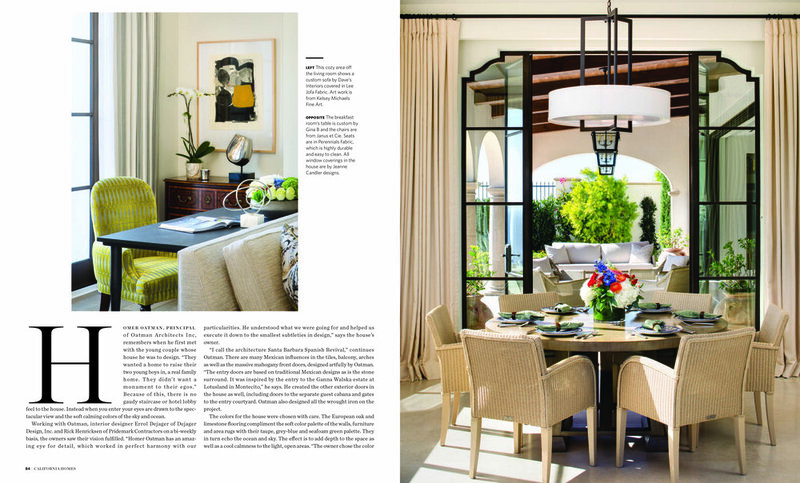 A big “Thank You” to Matthew Dvorak from realstone Systems for mentioning us and our design at Estrella, by Toll Brothers. The Nationals salutes and honors the best in the building industry for their determination, integrity, creativity and endurance. 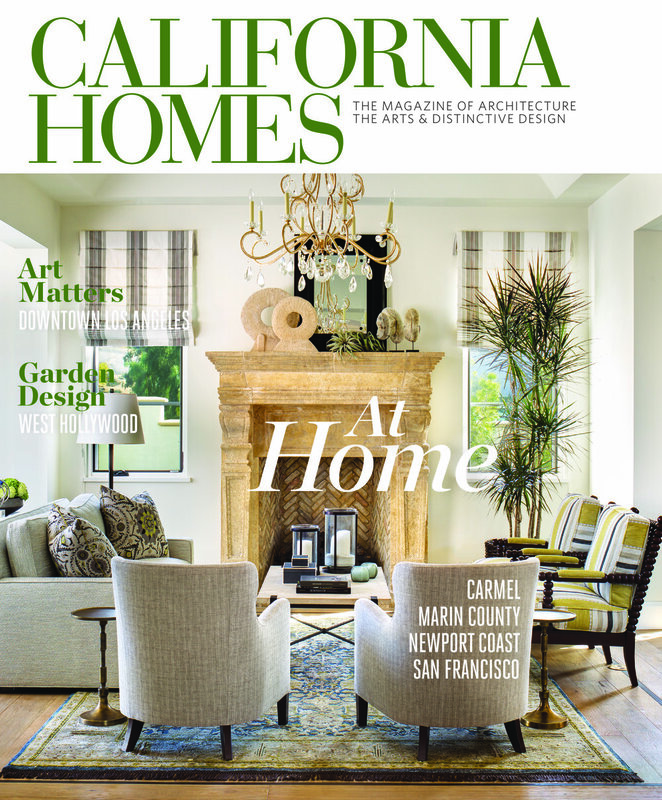 "The Nationals are the most prestigious awards of their kind, setting the benchmark for innovations in new home design, marketing and sales," said Meredith Oliver, chairperson of the Nationals. "NAHB's commitment to recognizing originality, imagination and success has been exemplified by its award winners since the competition's inception." LandCreativeInc. 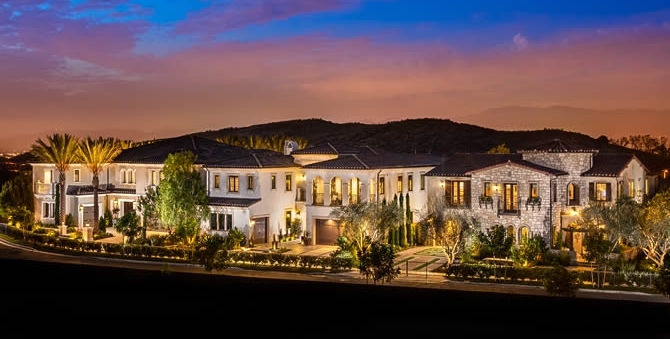 is delighted to be recognized by the NAHB National Sales and Marketing Council and the Southern California Greater Sales + Marketing Council for its design work on Toll Brother’s Marbella Collection at Hidden Canyon, and The Bluffs Collection at Bella Vista. We are proud to have our creative team and innovative projects recognized by the NAHB and GSMC judges and our industry peers. LandCreativeInc. is pleased to be honored by the San Clemente Garden Club in recognition of its design work for Jimmy’s Famous American Tavern. We are proud to have our projects recognized by the local communities and its citizens, whom our projects aim to serve, and enhance their public realm and spaces. LandCreativeInc. is excited to announce that Darin Farnworth, RLA has joined our leadership team as a Design Principal. With his big picture, creative approach and meticulous eye for detail, Darin excels in translating each client’s vision into thoughtful, feasible, impactful design. He brings nearly two decades of experience to the field, with particular expertise in master planning, international resorts, retail and office, private estates, multi- and single-family residences. 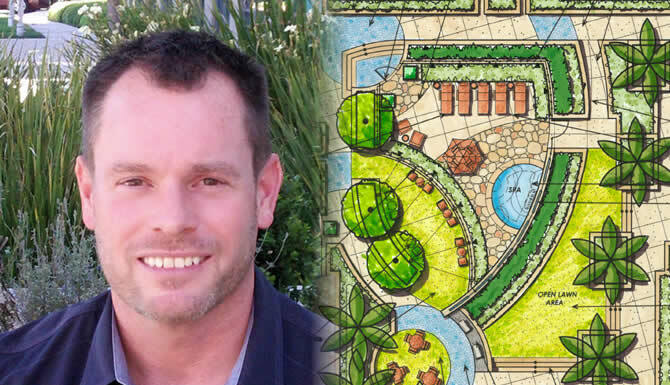 Darin holds a Bachelor of Landscape Architecture and Environmental Planning from Utah State University, and is a licensed Landscape Architect in the State of California. Clients can expect Darin to be integrally involved in all aspects of design - from ideation to implementation - at LandCreativeInc. David B. Salkowitz and Paul T. Wong are proud to introduce LandCreativeInc., a California-based landscape architecture, planning and design firm. Combined, David and Paul bring nearly a half century of project experience to LandCreativeInc., with primary expertise in international projects, master planning, hotel/resort communities, retail/mixed-use, multi- and single-family communities, office and corporate campuses, parks/gardens, and luxury estates. We think globally, regionally and culturally to connect the needs of our clients to the community their project serves. We believe in the art of nature and the beauty of design. Across all project types, LandCreativeInc. seeks to create distinctly inspired environments that reconnect us to the land, to our fellow humans, and to ourselves.